‘Cursed Child’ Actors Prep for Tony Awards! Heading into tonight’s Tony Awards–for which Harry Potter and the Cursed Child has an astounding 10 nominations!–anticipation could not be higher. The lead-up to the culminating ceremony of the Broadway season has included scores of luncheons, promotional events and interviews, and this week is no exception. 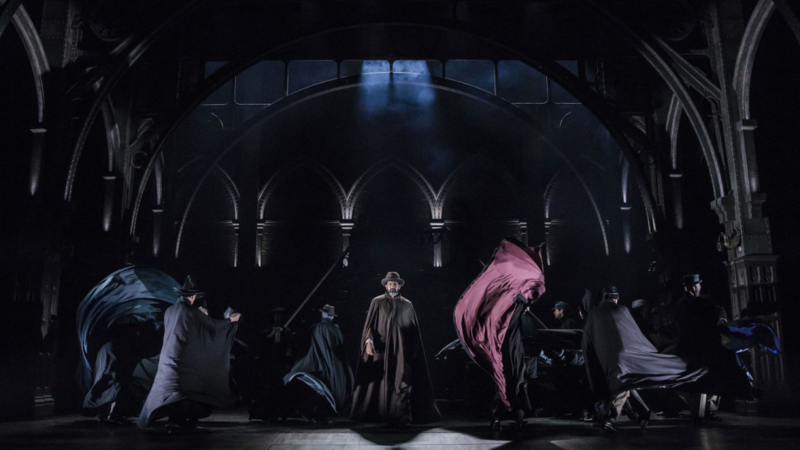 In addition to breaking down the Tony predictions, we’ve heard more from Anthony Boyle (Scorpius Malfoy), Noma Dumezweni (Hermione Granger), set designer Christine Jones and choreographer Steven Hoggett. Read on for more from these talented individuals as they discuss the Cursed Child production and their roles in it. In addition to predicted Best Play and Design Category wins, Variety also tapped John Tiffany as most likely to win for Direction of a Play. 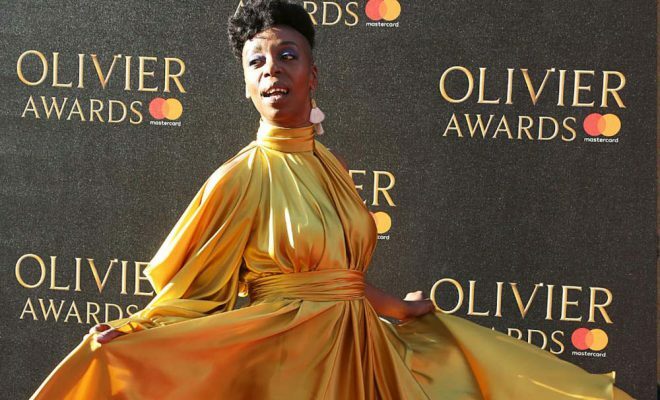 As for the acting categories, Variety proposed that Cursed Child nominees Anthony Boyle (Scorpius Malfoy) and Noma Dumezweni (Hermione Granger) are wild cards but, considering their success at the Olivier Awards, it may not be as far-fetched a possibility as the term suggests. Read all of Variety’s Tony Predictions here. I hope I’m good. Indeed. As we all know, it didn’t–and he wasn’t. 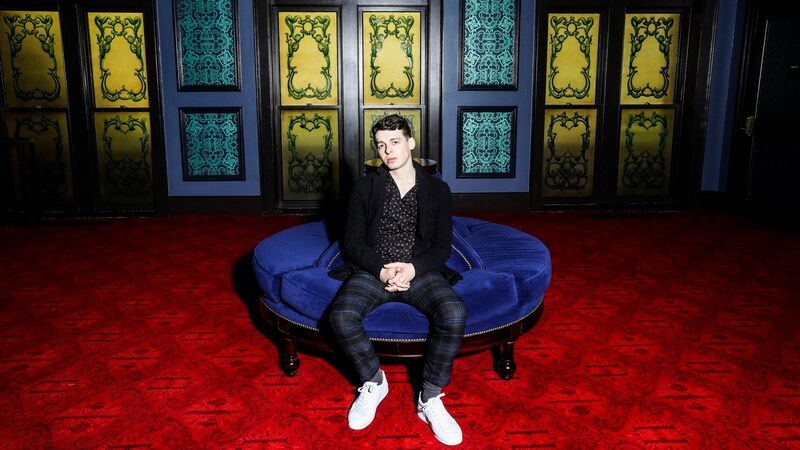 The young man who joked about “acting his socks off” in the New York Times Instagram feature below has truly knocked it out of the park, to use another turn of phrase, and whether he wins the Tony for his performance or not, Boyle has truly cast a spell over Broadway. Watch both Boyle and Clemmett discuss their characters and their “pre-show rituals” further below. And that, Potter fans, is why Dumezweni remains in the running, even as a wild card. Not because of how she looks, mind you, but because of how she’s captured the character of Hermione so completely, making her at once recognizable and also startlingly new. Her performance truly does take the audience along for the journey, and we’re excited to see her honored among so many other incredible talents! Read the full Deadline interview here. 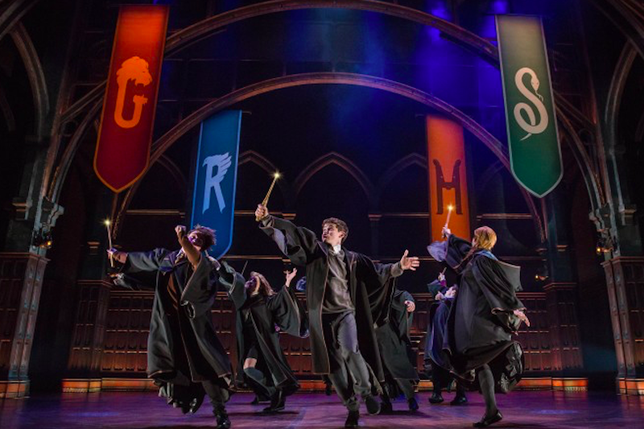 Broadway shows have to have something special about them in order to succeed, and there’s no denying that while the actors literally and figuratively take center stage in bringing that to fruition, the other elements of the production must be equally remarkable. 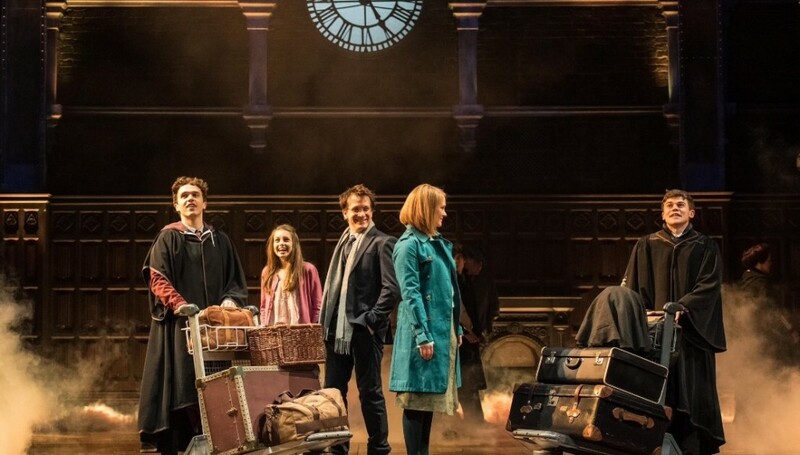 Whether it’s about the spectacle or simply creating the appropriate atmosphere, getting the set design right is essential, and so it is an incredible honor for Cursed Child’s Christine Jones to be counted among the Tony nominees. 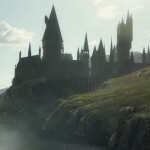 Truthfully, it takes commendable talent to take a concept so straightforward and, though by no means simple to execute, appear so on stage in order to fully engage the audience in the “suspension of disbelief” so that the magic of the play, and of the wizarding world specifically, is as powerful and real as it is intended to be. View the full Live Design slideshow, including set designer Christine Jones’ comments, here. Hoggett revealed he also considered the idea of ritual and how to communicate certain moods and impressions, such as the physical intimidation experienced in the court of Voldemort. So though he admitted he originally approached the production “with abject fear and a large notebook full of blank pages,” it seems inspiration came in the end, and the results are magical. Read the full LA Times coverage here. Though the lead-up to the Tony Awards is rife with anticipation and excitement, we would be remiss not to acknowledge awards that consider audience reception as the primary measure of success and accomplishment. After all, isn’t it about the theater-going fans in the end? 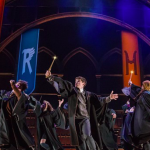 Well, now Broadway World has announced the winners for the Broadway World Theater Fans Choice Awards, and Harry Potter and the Cursed Child made a strong showing, capturing the hearts of fans in the following categories: John Tiffany, Best Direction of a Play; Noma Dumezweni, Best Featured Actress in a Play; Best Play and Gareth Fry, Best Sound Design of a Play. 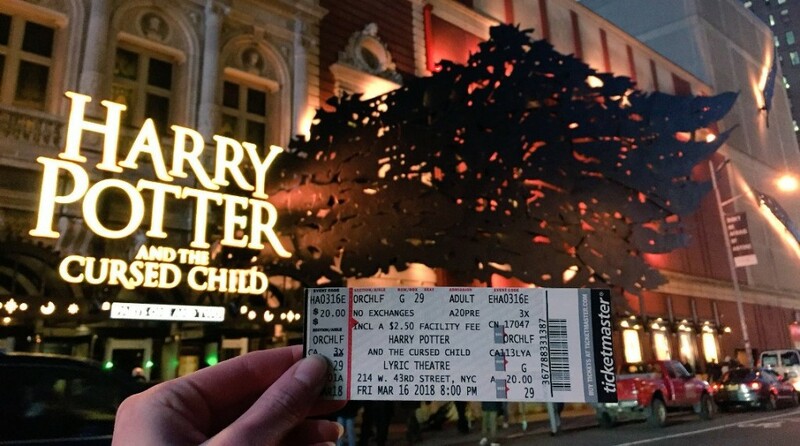 So, congratulations to the cast and crew of Harry Potter and the Cursed Child for their continued winning streak and best of luck heading into the Tony Awards tonight!